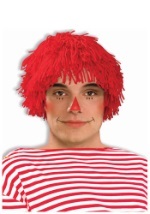 Instead of getting treated, you'll get tricked, but not for long! 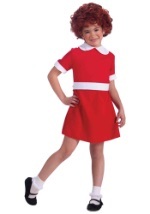 This adult Annie costume features a red polyester velour dress with Velcro clasps in back and an elastic band around the waist for a comfortable fit. A white satin collar lines the neck and white satin trim covers the ends of the short sleeves. 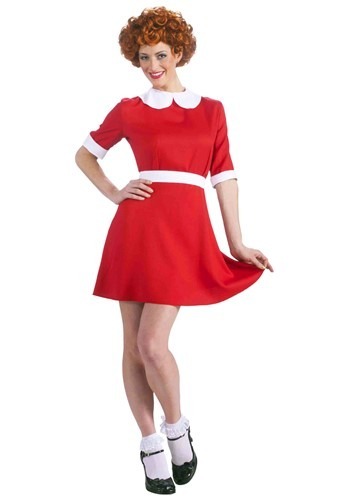 The costume also includes a white satin belt that ties around the waist. 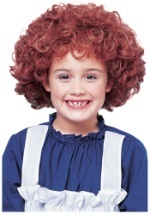 You'll be ready to head to that big mansion with Daddy Warbucks, just like in the musical.